Welcome to Northwest Sailing Adventures! 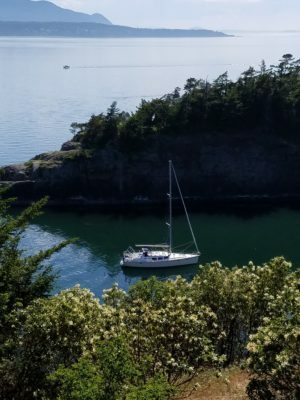 Experience the scenic beauty of Washington’s San Juan Islands in safety and comfort aboard the charter sailing yacht Diminuendo. Your fully crewed, all-inclusive sailing vacation allows you to relax and enjoy the ever-changing panorama while your crew caters to all of your needs. 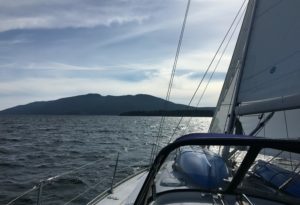 Set sail on the adventure of a lifetime on a fully crewed sailing vacation through the crown jewels of the Pacific Northwest, the San Juan Islands. Comprised of nearly two hundred named and unnamed islands, this beautiful archipelago is home to an abundance of wildlife. You are likely to see orcas blow or breach, eagles and ospreys on the wing, dolphins and porpoises as they cavort on your bow wave, or seals and sea lions basking on the rugged shores. Explore hidden coves and hike remote trails. From the bustling tourist town of Friday Harbor to the deserted shores of remote islands only accessible by boat, you’ll see the Northwest coast at its wild, untamed best. Nestled in the rain shadow of the Olympic Mountains, the San Juans receive about half the annual rainfall of Seattle and the Puget Sound. Your adventure begins at our home port of Bellingham, Washington, just 90 minutes north of Seattle and 60 minutes south of Vancouver, BC. 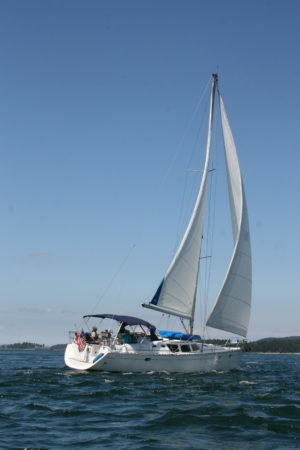 Northwest Sailing Adventures is a crewed sailing charter company with an emphasis on adventure and exploration at your pace, offered at reasonable prices. 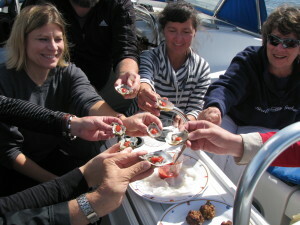 Join us for a truly memorable sailing trip through the San Juan Islands! Northwest Sailing Adventures offers fully-crewed, all-inclusive San Juan sailing vacations. No experience necessary! Allow your crew to apply their extensive knowledge of their familiar waters to assure your safety and provide you an unforgettable experience. You’re free to kick back and enjoy the ever changing panoramas while we tend to piloting and navigation. Want to take a turn at the helm? You’re welcome to participate in sailing Diminuendo as much as you like under the guidance of your skipper. Your crew will provide and prepare delicious meals in Diminuendo’s well appointed galley. Do you have special dietary preferences, restrictions, or allergies? Be sure to ask about our premium provisioning option. Even the most experienced sailors often find a crewed charter preferable to a bareboat charter. In addition to running the boat, the bareboat client is responsible for provisioning and cooking as well as cleaning, refueling, filling water tanks, removing trash, and emptying sewage tanks. Not to mention some of the miscellaneous costs you’ll often find in the fine print! When you sail with Northwest Sailing Adventures, all you need provide are your clothing, toiletries, alcoholic beverages, and a sense of adventure! NW Sailing Adventures offers private boat charters at rates below what you might expect to pay for booking a cabin on a shared cruise or a bareboat boat charter. During your chartered sailing adventure Diminuendo will be exclusively yours to enjoy. You will not be asked to share the boat with strangers. 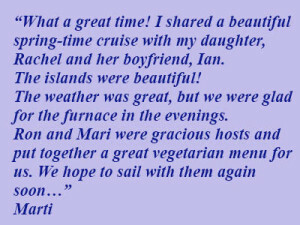 Offering private boat charters allows your crew, Ron and Mari, the flexibility to tailor your itinerary and menu to your unique wishes. Be it for one day, three days, a week or more, NW Sailing Adventures is dedicated to providing you the very best all-inclusive sailing experience. 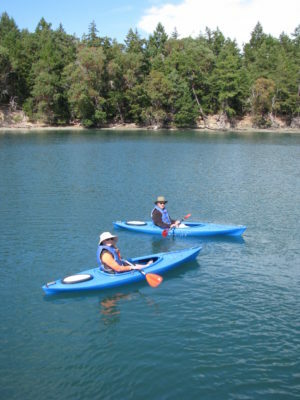 We believe you’ll find our Northwest Washington outdoor adventures are a great value for your vacation dollar.